The first thing you need to do is lay out the piece of concrete that you want to remove. You can use a box and chalk line to mark the area of the concrete that you want to cut. When cutting the concrete, make sure that the blade stays on the straight line marked by the chalk line. Use 150-amp Circular Saw That Has Abrasive Blade. This is the best blade you can use to cut concrete that is not too deep. However, when using the blade, make sure that you set the depth of the circular saw at 50.8 mm which is 2 inches. Once you have adjusted the depth of the circular saw, you can proceed on to cutting the concrete by starting from the edge. Slowly follow the line you had drawn using the chalk line to make sure that you get perfect results. If you are working on a concrete that is deeper than four inches, it is advisable that you use a more powerful cutting tool to get the job done. A good example of such a tool is an electric power cut-off saw. This precise saw can penetrate concrete that is six inches deep and can cut through without any problems. Besides, using a different blade to cut through such concrete, you will still use the same method to get the job done. The above graph shows that the concrete cutting industry really only exists in western countries such as England,Australia and America. 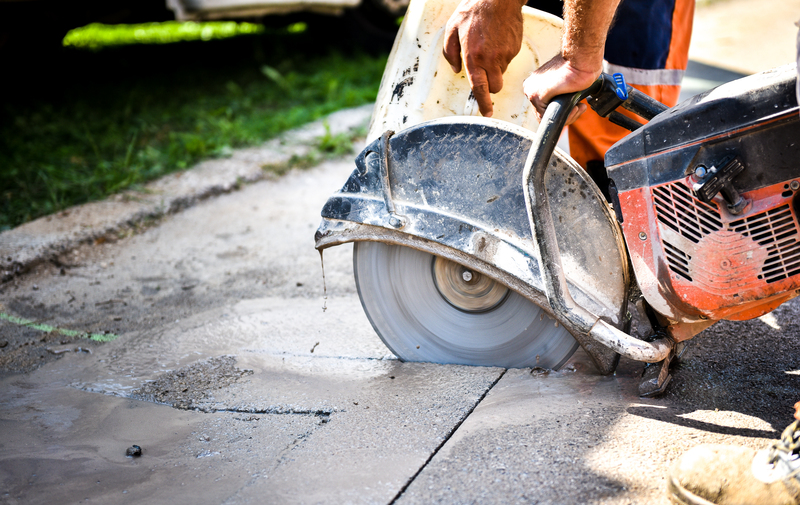 There are different types of blades you can use to cut concrete, but the one you chose will depend on the depth of the concrete that you need to cut. Furthermore, it is also advisable that you try and keep the blade wet when cutting concrete to reduce dust and also to keep the blade cool. – Other acute or chronic respiratory, pulmonary or cardiovascular conditions. – Water is showered onto the rotating cutting blade while in use. – Water can be pumped directly onto the cutting area while the saw is in operation. – Water jets can be released over the general area to reduce dust. 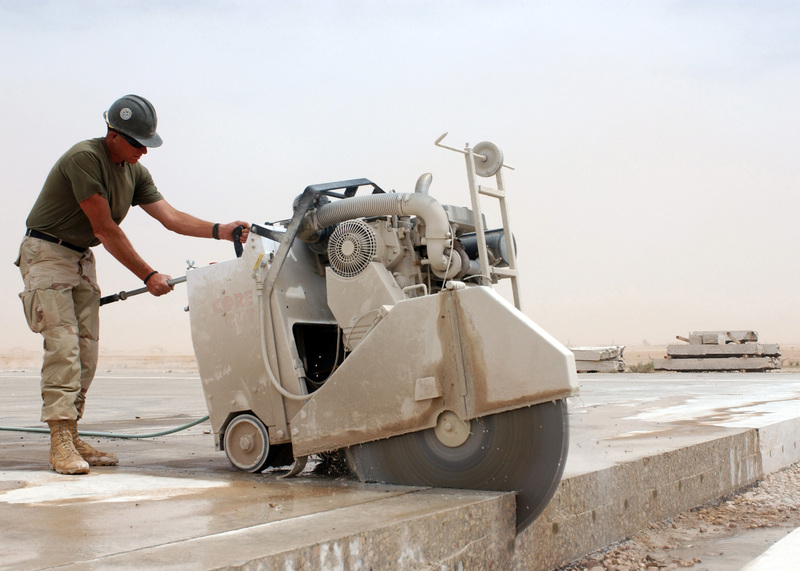 – Water can be sprayed in the air to cause concrete dust to settle quickly. Pressurized water tanks are necessary in most of these techniques. A ratio of 1/2 a liter of water per minute is considered the standard or ideal rate of release to reduce dust emissions. Increased rates have not been found to be more effective. Portable tanks hold around 8 liters of water and are therefor effective for a period of 16 minutes of cutting when the tanks will need to be refilled. These are not ideal for use in all types of constructions settings. – Breathing masks for the concrete cutting saw operator as well as any other workers or person’s in the area. It is important to select a mask that is specifically designed to provide protection against concrete dust. Also be aware that mask filters will become blocked after a specific period of time and will need to be replaced regularly when performing concrete cutting for an extended period of time. – Protective goggles are essential to prevent dust emissions from entering the eyes. This can result in mild irritation but could also damage the eye. 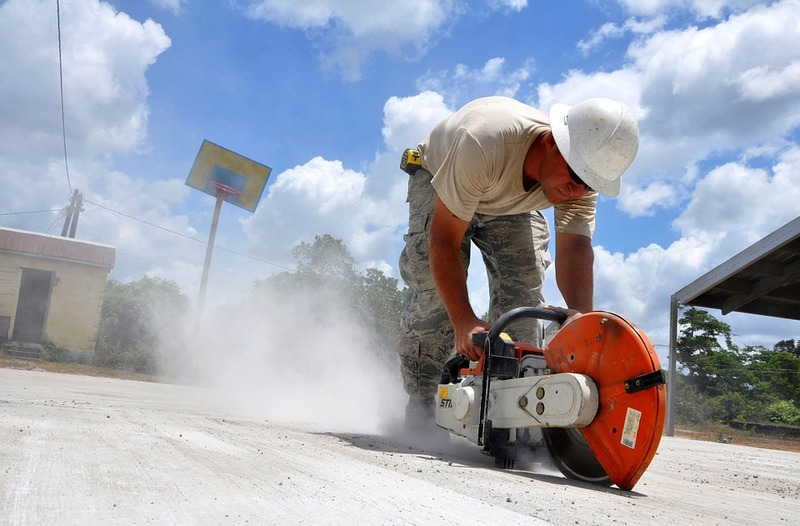 Employing both wet concrete cutting techniques as well as using the necessary safety and protective gear in conjunction with one another will provide the greatest level of dust control.